Running a business successfully requires monitoring a series of processes simultaneously. It’s not always easy to ensure that everything runs smoothly when you’re juggling a number of projects and working with several different contractors and clients. If you’re looking for a means of simplifying processes, increasing efficiency, boosting revenue, and providing your customers with an incredible service, look no further than Jobi. 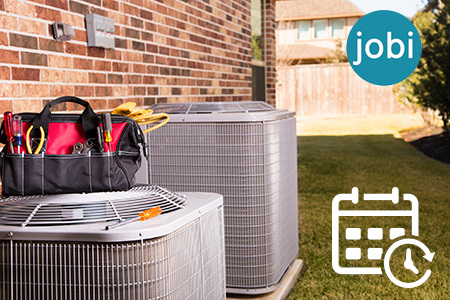 Jobi was created to connect field service contractors with homeowners. Using this innovative field service app, you can make use of accurate, real-time field service scheduling software, which eliminates stress, and enables you to run your business using just your smartphone. 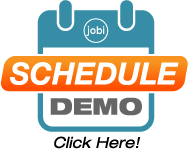 Jobi was established to help business owners eliminate mistakes and make use of a scheduling system that is easy, quick, and accessible. The aim is to link field service companies, including HVAC contractors, plumbers, and electricians, with clients to enable them to arrange and manage visits, such as service visits, track technicians out in the field to increase accuracy and provide real-time updates, and adjust scheduling as and when this is required. HVAC service scheduling software enables an HVAC contractor to contact a homeowner and arrange a home visit at the touch of a button using the HVAC contractor app. Once the call is scheduled, the technician can be tracked using GPRS, which is beneficial for both business owners and contractors. If there are delays, for example, the schedule can be altered with minimal fuss. 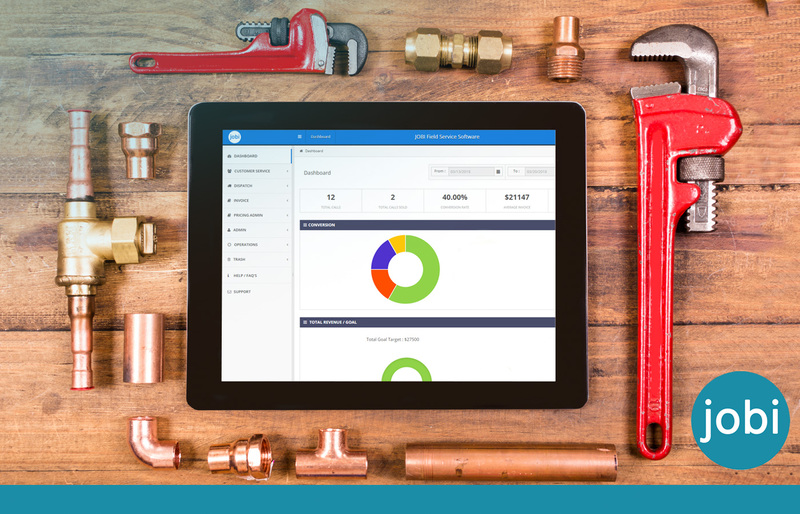 As an employer, using tools like plumber service scheduling software can offer you the opportunity to get an insight into how long jobs take and provide you with data linked to efficiency. Most business owners are on the lookout for ways to make processes more efficient, and using field service scheduling software is a means of doing this simply and effectively. Service dispatch software makes the process of organizing visits simple, but job scheduling software also helps to reduce the risk of mistakes and errors, which could prove costly. With electrical service scheduling software, for example, an electrician can take a call, log it, and arrange a service visit in a matter of seconds via the electrician contractor app. Once the visit details have been recorded, the electrician contractor app enables you to track the rest of the job. You can see when the contractor arrives, when they leave, and most importantly for business owners, when payment has been completed. Job’s field service scheduling software goes further than giving you and your employees the option to schedule in real-time at the touch of a button. It also helps with routing. Using GPRS, the app can tell you where your technicians are. This gives you up to date information that enables you to plan the most efficient and cost-effective routes, ensuring that time is not wasted. Your contractors will arrive at jobs on time, your customers will be pleased, and you’ll benefit from saving time and money. 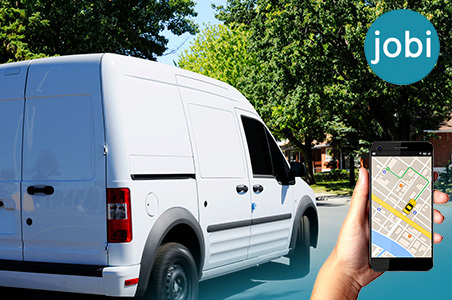 GPS fleet tracking has an array of benefits for employers and contractors. Employers have the option to monitor standards and performance on a continual basis, and the app provides access to information related to call times and durations. For contractors, tracking provides assistance with routing, which saves time and maximizes the chances of being able to get through jobs at the desired rate without any unwanted delays. With a plumber contractor app, for example, you can see calls coming in, look at locations, and decide upon the best route in no time at all. Every business owner aims to generate profits. When it comes to quoting prices or taking payments, it’s essential to make the right calls. Clients want accurate quotes, which can be provided quickly, and contractors don’t want to be faced with the consequences of providing the wrong quote or taking their time to come up with a price on the spot. To combat these problems, Jobi has a very simple solution: flat rate software. With a customizable flat rate pricing book, you can set fees or tailor your pricing strategy to eliminate errors and avoid any confusion when it comes to telling a client how much they owe for a specific job. Simple systems accelerate the process of getting paid, and they can also elevate customer retention rates. In this day and age, time is of the essence, and many business owners are looking for ways to complete tasks faster without sacrificing precision and accuracy. When transferring data and working across platforms, mistakes can be made, sometimes with devastating consequences. To provide a solution and enable you to work seamlessly, Jobi offers Quickbooks integration. Field service contractors can access real time paperless invoicing linked to Quickbooks and ensure all data is transferred automatically. Quickbooks field service software saves time and effort, and Quickbooks job tracking also enables you to keep track of every visit and each individual transaction. Back in the days before computers and phones took over the world, office desks used to be piled high with papers and documents. Fast forward, and it’s possible to send out, process, and manage invoices without a single sheet of paper in sight. Paperless service agreements for contractors enable technicians to take and record payments without ending up with files full of papers at the end of every day. This process of handling invoices is much more efficient, and there’s a much lower risk of making mistakes, as there’s no chance of an invoice getting lost or damaged. Apps for service technicians are designed to make life easier. If you’re a contractor with a packed schedule, you want everything to run as smoothly as possible to impress your customers and save yourself unnecessary stress, and so does your employer. Jobi field service management software is designed to provide solutions to many problems encountered by contractors out in the field, and to create processes that are simple and hassle-free for contractors and profitable and efficient for employers. With Jobi, it’s never been easier to schedule visits, track and monitor progress and ensure that every customer is happy.